Your first hint that your water heater is about to stop heating water for you is the brown color of the water or cool water when it should be hot. At this point it is either a repair job or a replacement that will be required. Our professional plumbing company specializes in residential plumbing home repair solutions and can assist you with deciding on a new water heater or repairing an existing one. Water heaters either use natural gas, oil, propane or electricity to heat the water in your home. They all tend to corrode over time and the heating element can degrade over time. Our Water Heater Service in Chandler, AZ can evaluate your water heater and make recommendations regarding water heater repair or water heater replacement. Standards and building codes change over time with the objective of improving safety for consumers. Our skilled professionals keep up to date on all of the changes and improvements made to the building code. They can also advise home owners regarding what changes if any may be needed to bring your water heater installation up to current building codes. 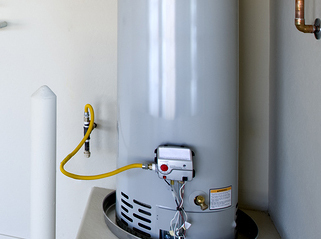 Any time a water heater replacement is required, the new heater will be installed with current building codes in place. It is so important to upgrade your installation to current building codes. These codes are developed to improve safety for the home owner and to prevent unnecessary damage to some one’s home. Our Water Heater Service in Chandler, AZ can also advise home owners on the most current efficient water heaters. Saving energy is everyone’s objective. Water heater replacement provides an opportunity to upgrade to a more efficient system, saving energy, reducing costs to the home owner and lowering green house gases. Call us today if your water heater is showing signs of failure. We will evaluate the system and provide appropriate recommendations.